PARENTS are putting their children's lives in danger because one in three child car seats are fitted incorrectly, according to a new report. In addition, one in 10 of these are dangerously wrong putting children at high risk of injury in the event of an accident, the latest research shows. Over a third of parents admit they struggle to install their child seats while half of parents confess to not switching off the air bag when the child seat is in the front passenger seat. In a live experiment conducted by insurance company Sheilas' Wheels, researchers inspected 100 randomly selected cars with child seats to check if the seat was fitted correctly. The research found that one in three (32 per cent) parents with children under 12 had their car seats fitted incorrectly - and of these, one in 10 (10 per cent) were fitted dangerously wrong. Common errors include harnesses that are incorrectly positioned, twisted or too loose, misuse of vehicle head restraints, incorrect use of seat belts, and children being too big or small for the restraint used. In these cases the child sitting in these seats could be severely injured in a car accident. When questioned by researchers, more than a third (35 per cent) of parents admitted they struggle to install their child seat and one in eight (12 per cent) do not feel that they are installing it safely. In fact, more than half of parents (56 per cent) struggle with twisted seat belts, unstable car seats (8 per cent) and loose harnesses (3 per cent). Close to one in three (29 per cent) parents say their child seat moves easily from side to side, or that the seatbelt isn't long enough to secure the seat (8 per cent). Many also experience their child taking their arms out of the straps (23 per cent) or their child escaping from the seat itself (9 per cent). Many parents are unaware that child car seats should never be used on any seat fitted with an airbag unless it is deactivated - as its proximity to a child in a car seat can cause injury if it is activated. One in 12 (8 per cent) parents have a child seat in their front passenger seat - and of these, half (50 per cent) have not switched off the air bag. 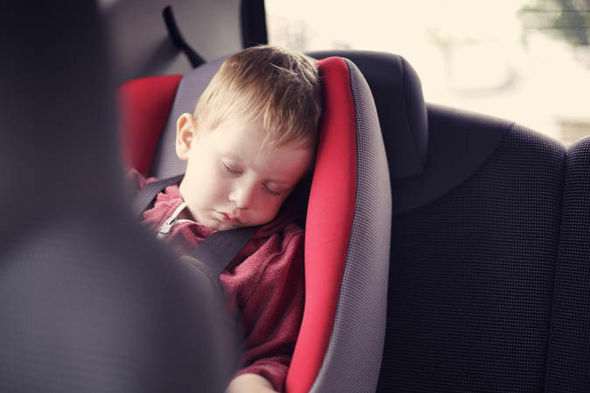 One in 20 (5 per cent) parents say they use a blanket under the child car seat to protect the car but do not realise that this might impact the safety of their child. Indeed, aftermarket products for car seats such as blankets, seat covers, seat protectors, head rests and harness covers aren't always crash-tested and may alter the seat's functions during a crash. 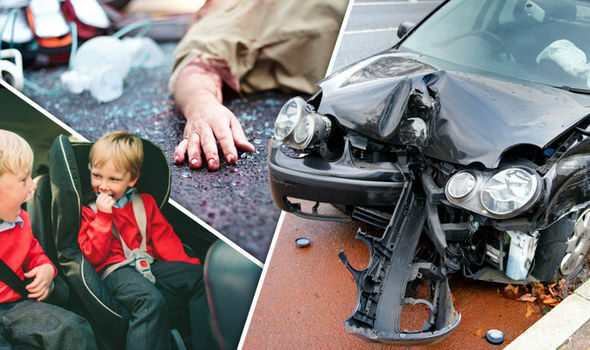 This research comes after a Department of Transport report last year, which showed that child road deaths (aged 16 or under) had risen by 3 per cent to 53 deaths from September 2013 to 2014 - the first increase in 20 years. Current regulations stipulate that when travelling in a car, children must be secured in a car seat until they are 12 years old or 135cm tall - but according to the research one in three (33 per cent) of those aged 9-11 do not use a car seat at all. Around one in four (28 per cent) parents are unaware of the current rules, with many (15 per cent) believing they no longer need to use a child seat when a normal seatbelt fits them comfortably. Sheilas' Wheels spokeswoman Elspeth Hackett, said: "It is extremely important to be aware of what type of car seat your child should be in, so they are secure if something happens while you're driving. "By law you need to transport children in an age and height-appropriate car seat each time you drive, but many parents make simple mistakes by using the wrong seat or installing it incorrectly, putting their child's life in danger. "Every child seat is different, so installation and use recommendations will differ."